1.Where are we talking from today? A. I first got involved in music through my band in my middle school which was F.H Jenkins. I played the trumpet. I got introduced to the production side in high school at Hunters Lane. My friend had FL on a burnt disc. We took it to the school library and from there started the process of who I am today. A. My music is a mix of the old school vibe of 90's hip-hop, neo-soul, and funk music. A. 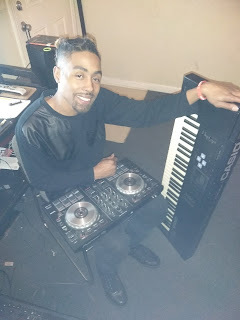 Right now I'm working with an artist named So Deezy to create a project similar to the traditional style of hip-hop with DJ and artist as one. A. To fans, thanks for the support. Thanks for believing in me when I didn't believe in myself. To the world, don't be a slave to money, follow your heat at all times.